In this installment of Poké-Mondays, we’re going to take a brief pause from playing to look more closely at the information you can find in the app to help you going forward. When you open the Pokémon GO app, you’ll see your trainer avatar standing on a map of your current location. You can zoom in and out of the map and rotate it to orient yourself. If you’re having trouble orienting yourself, tap the compass icon at the top right to reposition the map to show which way you’re currently facing. This is also the screen where pokémon will appear and where you’ll find pokéstops and gyms. At the bottom left, you’ll see your trainer’s icon with your current level. At a later point, you may select a buddy pokémon to walk with. If you do, that mons’ icon will appear with yours. If you tap it, the Trainer Screen will open. The circle at the bottom center is a link to what I’m going to call the Tools Screen (because I haven’t seen an official name for it) and the section at the bottom right that shows up to three pokémon is a link to the Nearby Screen. The Trainer Screen shows your player’s nickname and current level, as well as how many Experience Points (XP) you currently have and how many you need to reach the next level. 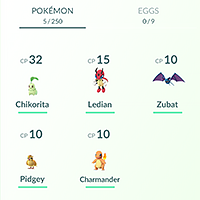 The Buddy link opens a screen showing all the pokémon you’ve currently got in your inventory. You can select one to be your buddy, which means it will walk with you and when you reach so many km it will find a candy. I’ll explain more about that later, but at this point there’s not a lot of point in selecting a buddy, although there’s no harm in doing so. The Style link opens a screen where you can change up your look at any time. If you scroll down, you’ll see outlines for a number of medals you can collect as you play the game. There are three levels—bronze, silver, and gold—for each area. More will appear over time as you catch more pokémon. You can tap each one to see how far along you are to achieving them. The medal with the picture of a sneaker will show you how many total kilometers you’ve walked since you started. It can be quite eye-opening! At the very bottom of this screen, you’ll see your start date and the total number of XP you’ve earned along the way. This is the screen you’ll probably refer to most often. The Pokédex is a numbered list of all the pokémon currently in the game, filled in with the ones you’ve caught (full color) or seen (silhouette). These are the only ones you can tap to get more info, including a little description of the monster as well as the quantity you’ve seen and caught. You’ll also see if it’s part of a family, which means you can get other members by evolving them (more on that in a later post). This link takes you to a screen that lists all the ones you currently have. This does not necessarily mean all the ones you’ve caught, because you can transfer pokémon back to the Professor to get candy for it. To begin, you can keep a maximum of 250 pokémon at a time, but you can purchase more storage space in the Shop. You can sort the list by several criteria: Recent(ly caught), Favorite, (Pokédex) Number, Hit Points, Name, and Combat Points. When you tap on an individual pokémon, you’ll get a lot of information about that specific one. Gender, weight, and height are interesting but ultimately irrelevant. Here are the bits that are important, primarily in terms of how they’ll perform in gym battles. CP: Combat Points tell you how strong they’ll be when fighting other pokémon. You can increase a pokémon’s CP with the Power Up feature. HP: Hit Points represent how much damage the pokémon can endure during battle. When HP goes down to 0, it means they’ve fainted and you’ll need to use a special Revive item to bring them back. Type: All pokémon are classified by type, e.g. Normal, Grass, Poison, Flying, etc. Specific types are more effective battling other specific types. For example, not surprisingly Water types are effective against Fire types. Some pokémon belong to two types. Stardust: You may have already noticed that whenever you catch a pokémon, you receive 100 units of stardust, which is required to power up a pokémon. You also receive stardust when you have a pokémon defending a gym. Stardust is not specific to any one species; you can use it to help you power up any of them. Candy: This is another thing you collect when you catch a pokémon. Normally you get 3 candies per catch, although you can get more when you catch evolved species or when you hatch a monster. You use candy along with stardust to power up a pokémon and candy to evolve them. Candy is specific to a specific species and its evolved versions. So if you catch a Pidgey, Pidgeotto, or Pidgeot, you’ll receive Pidgey Candy and you can use it to power up or evolve any of those pokémon. As mentioned earlier, you can also collect candy for a pokémon when you choose a Buddy to walk with. This is a good way to earn candy for species that are rare to find in the wild. Power Up and Evolve: These tell you how many stardust and candy you need to power up and evolve that specific pokémon. The evolve number is constant but as you power up a pokémon, you need more of both items to continue powering up. Move Sets: Each pokémon has two different moves it can use in battles. The first one listed is the standard move that does a little bit of damage to its opponent. As you keep making these hits, you’ll “charge” a special move that you can use to do more damage. Individual members of the same species of pokémon can have different move sets, and different moves are more effective against some moves than others. Finally, this screen will tell you what date you added this pokémon to your bag and where you caught, evolved, or hatched it. If you click on the Eggs link at the top right of the Pokémon Screen, it will likely be blank, because you don’t start collecting eggs until you reach a higher level. I’ll talk more about hatching eggs in a later post. This is where you can buy stuff. (D’uh!) I’ll explain more about these items in later posts. You can pay real money or earn coins from assigning pokémon to gyms. IMPORTANT: When you open this screen, be very careful scrolling through it. If you accidentally tap an Incense or a Lucky Egg, it may launch them without warning and you’ll waste their value. When you’re first starting out, you’ll only have a few types of items listed here. As you level up your trainer, you’ll get additional items including more powerful pokéballs, berries you can feed a pokémon for various reasons, Lucky Eggs, which will double the number of XP you collect for 30 minutes, and Lure Modules that you can use to attract pokémon to a pokéstop and that other trainers can take advantage of as well. If you ever see a bunch of pink hearts flying around a pokéstop, it means someone else is using a lure module there. NOTE: Unlike lure modules, Incense will only attract pokémon to you. 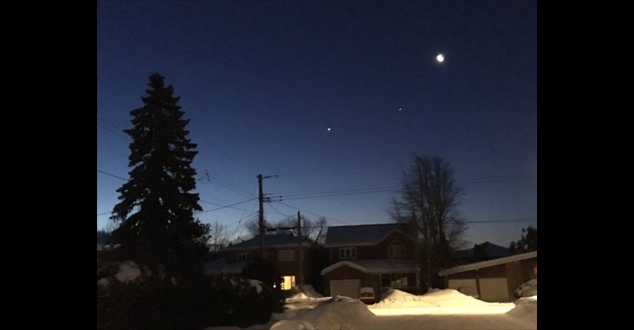 If you’re sitting at home when you launch one, you’ll attract one monster every five minutes. If you’re walking around, you’ll attract one per minute. Finally on the Tools Screen, you’ll find links to the app’s Settings and Tips from the Professor. This screen helps you find pokémon in your area. It will show you which pokéstops the monster is hanging around and it may also show you some against a grass background, which means it’s around somewhere but not near a pokéstop. If you tap one of the ones near a stop, it will bring up the name of the stop and an icon with some paw prints. If you tap that, it will briefly show you on the map where it is relative to you. NOTE: Supposedly the number of paw prints (1-3) represents how close the stop is to you, but I’ve never seen anything besides 3 prints, even when I was right in front of it. So that’s a lot of information right there! It may seem a bit overwhelming right now, but as you’re playing it will all start to make more sense.